Looking at this picture I long to be here! Anyone who knows me will tell you I belong in the tropics. As I write this I am in West Allis Wisconsin where presently it is cold and snowing. What can all of this possibly have to do with the power of choice we have been discussing all week? Plenty. If all I did was sit here behind my keyboard and complain I really wouldn’t get anywhere. Not to mention any great goal needs to be first seen in the mind. If you do not know exactly where you want to go how do you ever hope to get there? How will you know you are moving toward where you want to go or away from it? A lot of people say “I want to be successful” or “I want to be rich”. What exactly do those two things mean to you? Is rich a certain amount of money? Does it only have to do with money? I know of some people who have money, but no peace in their life and a lot of stress. To me, that is not rich. As far as successful, that is way to broad of term. So, how do we get clear on what we would like our lives to be? I am going to give you a secret little process you can do that not only helps you focus and put more of your mind to work to help accomplish your goals, but can be so much fun. This secret was first shared with me by my good friend Sharon at one of her journaling classes she taught. 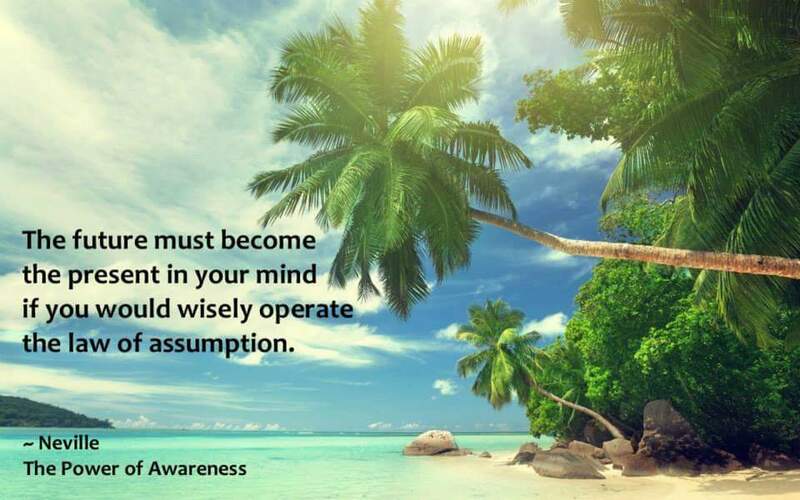 It both serves as a mental vacation, and puts the law of attraction to work for you. Are you ready to learn this powerful secret? Grab a pen and some paper and follow me. Second thought as I mentioned it is cold and snowing here, maybe I will follow you. Sit down, close your eyes (obviously not good to do while driving although I swear some of the people I share the road with are doing this) Begin to think about a day in your dream life. Start by what happens when you first wake up. What time is it? Where are you? Who are you waking up to? Try to use all of your senses. Do you smell fresh brewed coffee? To you feel the ocean breeze through the open widow? Do you hear the crashing of waves or perhaps the song of birds? Does breakfast come to you in bed from your butler? Maybe you go into your spacious kitchen to make yourself some Kodiak power cakes (sorry personal favorite). Do you go for a jog next? Maybe a walk on the beach? In the woods? Where to you work? What do you drive? How long do you work? Include all of these plus any other details you can think of. Remember to both include people and places as well as senses and emotions. Make it as visceral as you can. That way all you have to do is close your eyes and step into your dream. After you complete your script and find yourself back in bed concluding your dream day, put the script away. Now I recommend reading this daily until you can picture it without the script and then as often as you desire after that. The trick here is that it should always be fun, like you are escaping to that other reality. You may find yourself changing a few things as you go along, that is wonderful. adjust the script as you go along. You will notice certain opportunities begin to show up and your mind draws you in particular directions. Not to mention the time you spend visioning your dream life will have you feeling like you are on a vacation.